The Canadian Pet Expo | Canada's Largest Consumer Pet Show! celebrating the world of reptiles! It is Canada’s gathering of the world of reptiles, vendors, breeders, manufacturers of supplies, specialists, herpetoculturists from around the world converge to see the rarest captive bred reptiles presented in Canada. Be sure to bring your pets to the CPE! Every event is really all about the pets with the CPE. Whether your pet family member crawls, slithers, hops, walks or swims in a portable bowl bring them along to enjoy the festivities. Just remember to bring a signed waiver with you. PETS GET IN FOR FREE! Promoting responsible pet ownership with pet family events and over 225 vendor booths. Exciting intereactive events, dedicated pet sport areas and more family pets then one ould imagine. 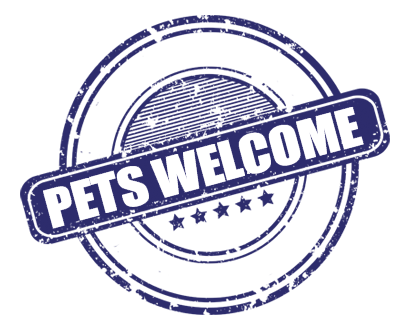 PETS ARE WELCOME TO COME! The CRBE is excited to bridge the worlds of freshwater, marine and corals to the CRBE. Guest speakers will includes social media aquarists, workshops presented by leaders within the manufacturers world and captive aquatic propogaters. The Canadian Reptile Breeders and Exotic Pet Expo is exactly that! A convention and consumer event promoting the captive propagation of reptiles and exotics to the pet family homes across Canada. Vendors from across the USA, Canada and overseas venture to the Canadian capital of herps for this weekend of events, presentations, marketplace and most importantly coming together to share the knowledge along with passion of working with reptiles. Guest presentations from industry leaders such as Justin Kobylka on Ball Pythons, Michael Burger, Matthew Parks of Pangea Reptiles, Oz from Ozzy Boids. Brian Barcyzk from Snakebytes to mention just a few guests. This years CRBE – CPE and Aquatic Expo is the largest gathering of reptile and aquatic vendors in Canada. Over 175 consumer vendor booths from manufacturers to distributors to private breeders all offering for sale products, services and the greatest selection of captive bred reptiles and aquatics from around the world. While your at the CRBE be sure to check out all of the pet focused events throughout the weekend: The Canadian Reptile Breeders Expo, The Canadian Pet Expo and the Aquatic Expo. All of these events are included in your admission price. © 2017 CANADIAN REPTILE BREEDERS EXPO INC. ALL RIGHTS RESERVED.